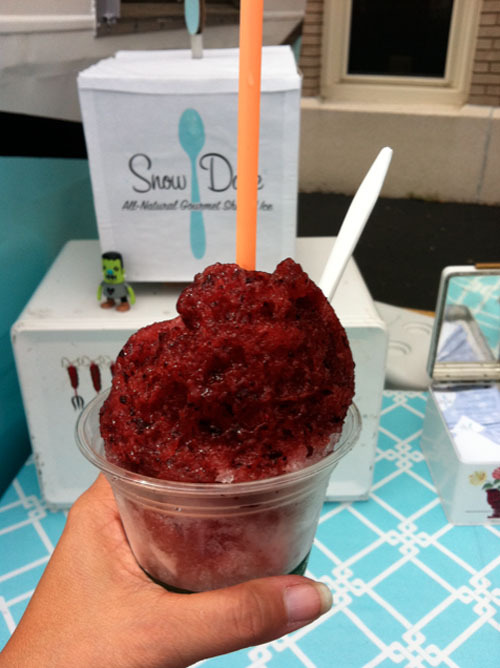 When I was at Spokes and Ink I finally caught up with the Snow Daze snow cone food truck. 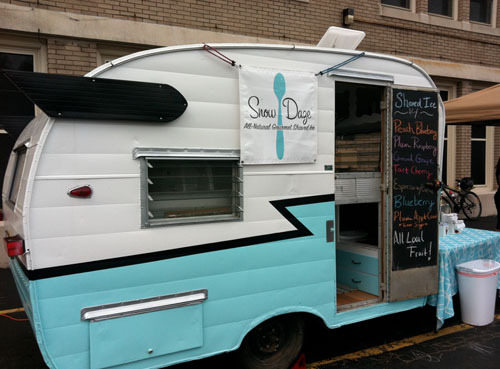 I blogged about Rochester food trucks recently. I love the little trailer they work out of. They have some pretty interesting flavors too. I got the peach blueberry. i'm pretty sure I saw something with carrot jucie which I am curious about. Had the Concorde Grape at recent fair in Fairport. BEST snow cone I EVER had!!! Peach blueberry really looks delicious. Thanks for sharing reviews about their food. I need to host a party and was looking for event space NYC within my budget. I have visited various places but their prices are quite high.